Learn to design cost-effective, future-ready cabling networks. 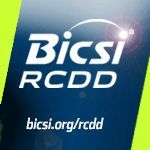 BICSI distribution design courses begin with the fundamentals and work up to hands-on planning and design of telecommunications distribution systems. Use this knowledge to pursue the elite Registered Communications Distribution Designer (RCDD®) credential and take your career to the next level. New version solves the critical problem of poor cellular phone coverage in buildings. CALLUP Wi-Fi Calling enables operators to take advantage of subscribers' routine connection to their Wi-Fi hotspot, allowing them to use their cell phones for voice calls, text messages and rich communication services over the IP network.